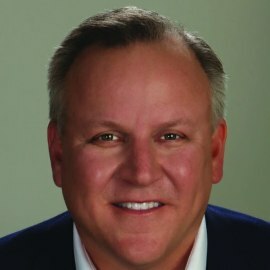 Prior to his current role, Lance was a Regional Director at GE Capital Real Estate where he oversaw the origination efforts in the Central portion of the United States. While at GE, Lance was named one of the “20 Rising Stars in Real Estate” by Institutional Investor News in 2008. Prior to this position, Lance was a Senior Director at GE and was consistently one of the top producers within North America Lending. Lance has been actively involved in the real estate finance industry since graduating from SMU in 1990. He joined GE in 2001 from Heller Financial where he was Director. Earlier in his career, Lance worked with Amresco in Dallas. Lance has a BBA in Finance from SMU and an MBA in Finance from the University of Texas at Arlington. While at SMU, Lance was a member of the 1986 SMU Mustang football team. Lance has been married to his wife, Angie, for 18 years and they reside in University Park, Texas. They have three children – Christian (age 15), George Nicholas (age 13) and Alexandra (age 10). Lance enjoys coaching his children’s sports teams, playing golf, traveling, and reading in his spare time.